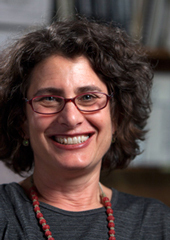 Dena Belzer is the founder and President of Strategic Economics, an urban economics firm located in Berkeley, CA. She has 30 years’ experience working on economic issues ranging in scale from regional growth management to individual development projects, and regularly speaks and writes on the topic of transit-oriented development (TOD). Dena’s recent work has focused on plan implementation, including identifying ways to clear market barriers to private development and addressing the need for new infrastructure investment. In addition to her consulting work, Ms. Belzer has numerous publications and has served as a national expert on many topics for the U. S. Department of Housing and Urban Development, US EPA, The Mayors Institutes for City Design, and The Urban Land Institute.